Want to be in “the know” about what is happening in University Place? 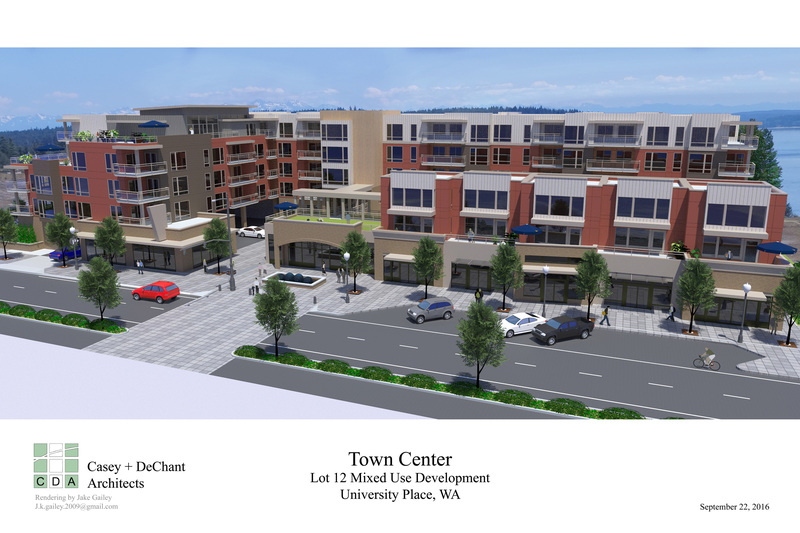 Above is a rendering of 3610 Bridgeport Way West, located in The Village at Chambers Bay, in the University Place Town Center. My fact checker was Kevin Briske, Principle Planner with the City of UP. The building is to be 5 stories with 125 apartment homes; 10,000 sq. 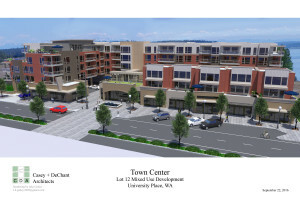 ft. of ground-level retail space and 2 levels of underground parking. The completion is estimated for February, 2019. A local Tacoma firm, SEB Inc. is the contractor. They also built the two apartment towers across Bridgeport from this new tower: Latitude 49 and Clearview 100. Back in the day, when real estate was booming, the City of UP purchased this property (that housed an existing apartment building) for $2.6 million. The existing apartment building was destroyed, the Great Recession hit and the land then sat as a parking lot for 10+ years. The land was eventually purchased in September, 2017 by SEB for $865,245. Ouch! The City of UP felt they needed to move forward, regardless of the loss to continue to create the Town Center. (Information from Pierce County Assessor + TNT). See you at the next find! Rae Anne Catron and Jessica Neal-Smith discuss the strategies to get the most return possible on a seller’s investment before the home is listed. Often it doesn’t take much to make a home shine. Stay tuned for the final product in Episode #2 coming soon! This video shows the final product and budget that was started in Episode 1! Our project manager, Jessica Neal-Smith, kept the project ON budget! 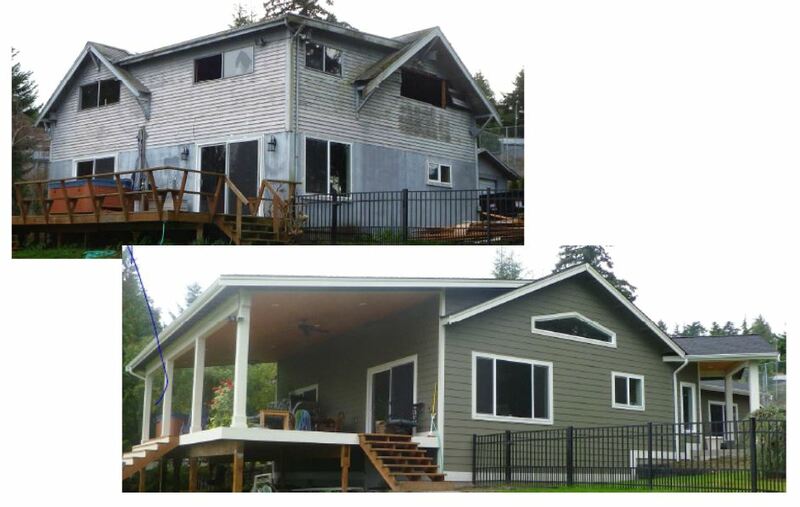 She spent $11,000 to totally transform the master bath from a deterrent into a feature; and, $10,000 to repaint the exterior as well as the interior, all new carpets, light fixtures, etc! Our sellers netted over a 200% ROI. What would the ROI be on your home?